Italy’s selection to compete for the 2015 Academy Award for Best Foreign Language Film category is the artistic last will and testament of director Claudio Caligari who died shortly after the end of filming. It portrays the lives and crimes of a bunch of young thugs in the Roman suburb of Ostia. It’s 1995 in Ostia, on the Roman seaside. 20-something Vittorio and Cesare are lifelong friends, almost brothers. They take drugs, drink and get into fights with other misfits like them. At home Cesare has a prematurely aged mother. Vittorio instead seems to have no one in the world, and when he meets Linda he sees in her a chance to build a normal life. He decides to find work and tries to enlist Cesare, who in the meantime has fallen in love with Vivian, a loner like him but full of desire to build a future. The last of auteur Claudio Caligari’s cult films, following on from The Scent of the Night and Toxic Love, this is a fitting final excursion into the darkness of the human soul and features stunning performances by its two male leads. 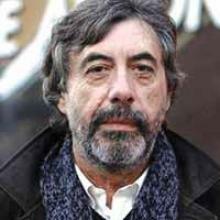 Born 1948 in Arona, Claudio Caligari was a screenwriter and director. His feature debut Toxic Love was awarded the De Sica Award at the 1983 Venice Film Festival. His second film, The Scent of the Night (1998) was nominated for three Silver Ribbon Awards. He died in 2015 shortly after completing Don’t Be Bad.